Beyond the southwest coast of Batangas lies Occidental Mindoro, a province that glimmers with a natural luster that even the jaded traveler cannot ignore. The town of Mamburao is the provincial capital and the set of government. San Jose, considered the main commercial port of the province, is the center of commerce and entertainment. The bustling town is home to major banks, restaurants, cafes and schools. To the northwest of mainland Occidental Mindoro is Lubang Island, divided into two municipalities – Looc and Lubang – along with the surrounding islands of Ambil, Golo and Cabra. These islands have fine white sand beaches. Sablayan, located at the center of the province is the largest municipality. The town has its own municipal fish port, where produce is traded and shipped to surrounding areas. Sablayan is surrounded by a haven of biodiversity: it is the jump-off point to Apo Reef Marine Park, the white sand beaches of Pandan Island, and the magnificent heights of Mt. Iglit-Baco National Park. Relax in the bosom of Mother Nature and be enticed by the spirit of the wild. Dive into the coral sanctuaries of Apo Reef Marine Park, one of the outstanding dive sites in the country. Explore the underwater caves of Ambulong Island. Swim with the sharks and other marine creatures in Iling Point and Manadi Island. Treat yourself to a fascinating and peaceful escape. Take a walk on the fine sandy coasts of San Jose or stroll down the coconut-lined beaches of Mamburao. Indulge your senses within the serenity of Besay Falls in Ambil, or take a dip in the graceful cascades of Hulugaan Falls in Lubang Island. Have a splashing great time in the clear cool spring waters of the Calawagan River Resort. Visit Mt. Iglit’s forest reservation and wildlife sanctuary for a glimpse of the tamaraw, a bovine specie endemic to the Philippines that bears a close resemblance to the water buffalo. Experience the rich and colorful culture of the local Mangyans, with their rich tradition of music, writing and basketry. 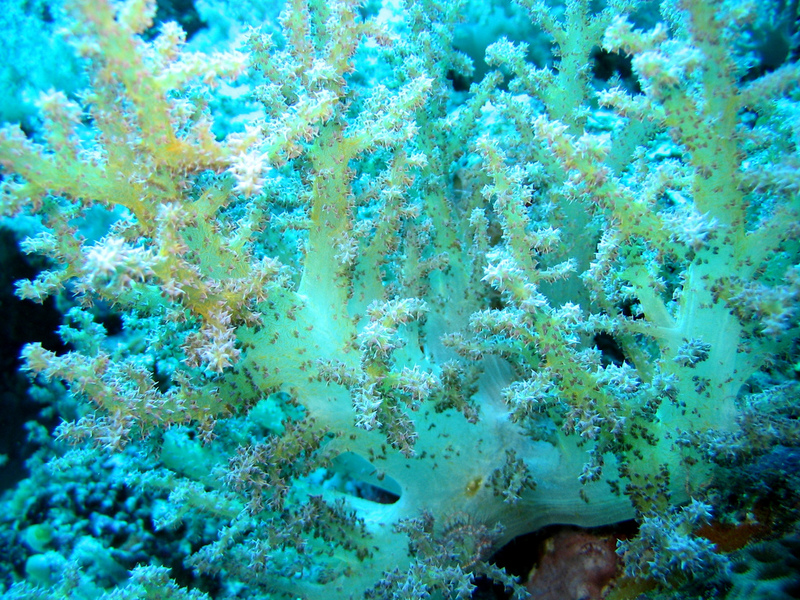 Yellowish white soft coral. Philippine Islands, Occidental Mindoro, Apo Reef. Marine wonderland, wildlife and bird sanctuary and stretches of secluded white beaches – Occidental Mindoro is nature’s tranquil haven, a paradise waiting to be explored. 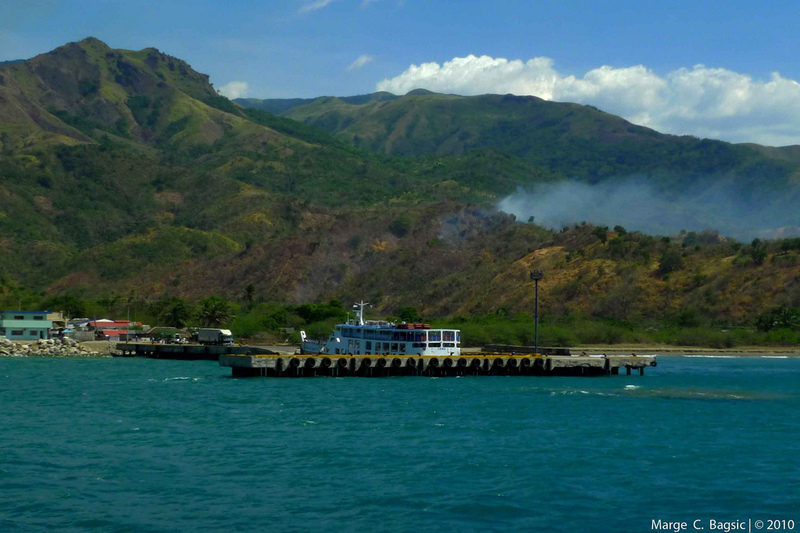 Occidental Mindoro, 15 kilometers from the southwest coast of Luzon, is accessible by sea and air. Flights from Manila to San Jose are available from Sunday to Friday and travel time is around one hour. There are also chartered and commuter flights from Manila to Lubang Island that take about 45 minutes. 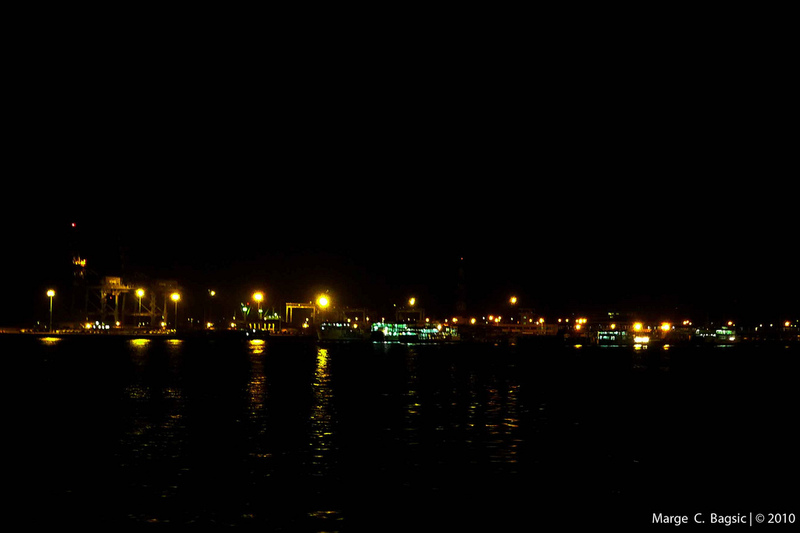 Travelers can likewise take a ferry from Batangas port to Abra de Ilog. Travel time takes about two and a half hours. From Abra de Ilog, there are air-conditioned vans plying the route to Sablayan and San Jose. 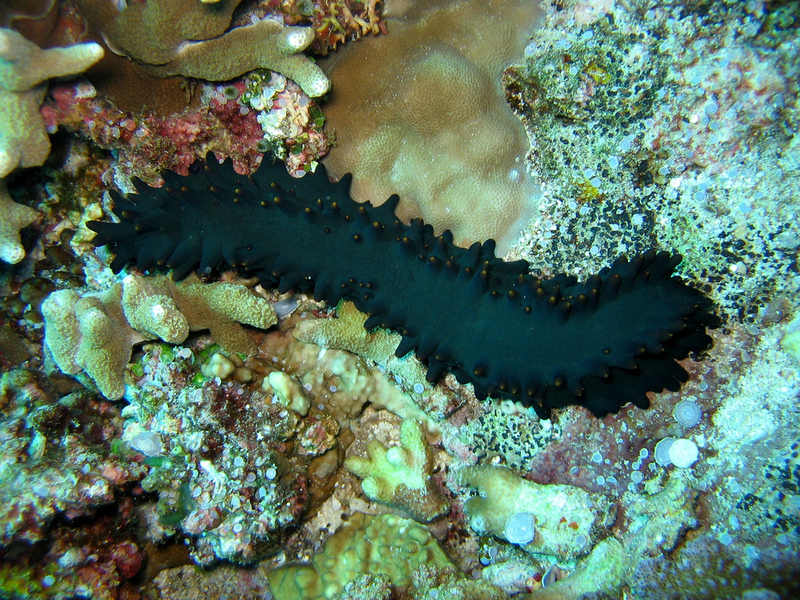 A sea cucumber (Stichopus chloronotus). Philippine Islands, Occidental Mindoro, Apo Reef. Apo Reef National Park, Apo Island, Sibuyan Dubbed as the diving mecca of the Philippines, this 34-kilometer reef has a narrow channel dividing the reef into two lagoon systems. Beneath the clear water of these lagoons, divers can explore the fine white sand bottom with its colorful array of approximately 400 -500 coral species. Almost 500 marine species, including a variety of sharks, stingrays, and manta rays, can also be spotted around the area. 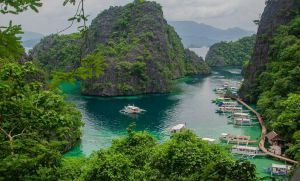 Bird-watchers can visit the fascinating bird-populated islands of Binangaan and Cajos del Bajo, which are also part of the Apo Reef Marine Park. Ambulong Island, San Jose One of the three island attractions in San Jose, the 3000-hectare Ambulong has white sand beaches, interesting cliff pillars that rise up from the sea, and mysterious underwater caves. The Island’s Caminawit Port servers as a jump-off point to the numerous dive sites in the area such as Iling Point, Baniaga Reef, Ambulong Bank, Dungan Reef, Sardines Reef, Apo Reef and Manadi Island. Ilin Island, San Jose Considered as the biggest island among the three off San Jose, Ilin has five beaches fringed with reefs that are approachable on foot during low tide. The area abounds with shells and the residents are mostly shell divers. Pandan Grande Island, Sablayan This 30-hectare islet has a curving white sand beach dotted with native-style cottages which are used as diver’s lodges. The beach is popular with snorkelers and divers, as it is located within swimming distance of a submarine drop-off inhabited by schools of reef fish. Mt. Iglit, San Jose Declared as a national park and forest reservation, Mt. Iglit is also a game sanctuary for the tamaraw, a specied of wild water buffalo endemic to Mindoro. Resembling the carabao, the tamaraw is smaller in size, with shorter and straighter V-shaped horns. These endangered animalis live in the forests at the foot of Mt. Iglit. Trekkers and climbers may be able to catch a glimpse of the tamaraw as well as several other species of indigenous wildlife and flora. Iglit-Baco National Park is also the home of the Hanuo’o Mangyan, Mindoro’s aborigines. Authorizations for visits to the ethnic community are required; these can be arranged in advance by hotels. Parola Park, Lumang Bayan, Sablayan The park’s centerpiece, a historic watchtower or parola, was erected in 1896 to warn natives about impending raids by pirates. The ruins of an old church can be found in the park together with an old cannon used to defend the town. Presing Park (Parola), Lumang Bayan, Sablayan This 5-hectare man-made park that overlooks the sea has a 15th century cannon that was built to fend off Moro pirates. The cool breezes blowing in from the sea make the park a favorite of promenaders and picknickers. A grotto of the Our Lady of Fatima can be seen at the far end of the park. Lubang Island It was on this island where a Japanese soldier, Hiroo Onoda, hid for 30 years after World War II and finally surrendered as a prisoner of war in 1974. Another soldier, a captain of the Japanese Imperial Army named Fumio Nakahira, held out for another six years in the forests of Mt. Halcon before being found in 1980. 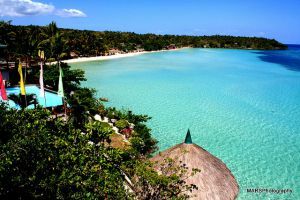 Tagbac, on the western coasts of Lubang, has more than five kilometers of slopping sandy beaches lined with coconut trees. The most popular destinations in Lubang are Tilik Beach and Canu Beach. Calawagan Mountain Resort, Brgy. 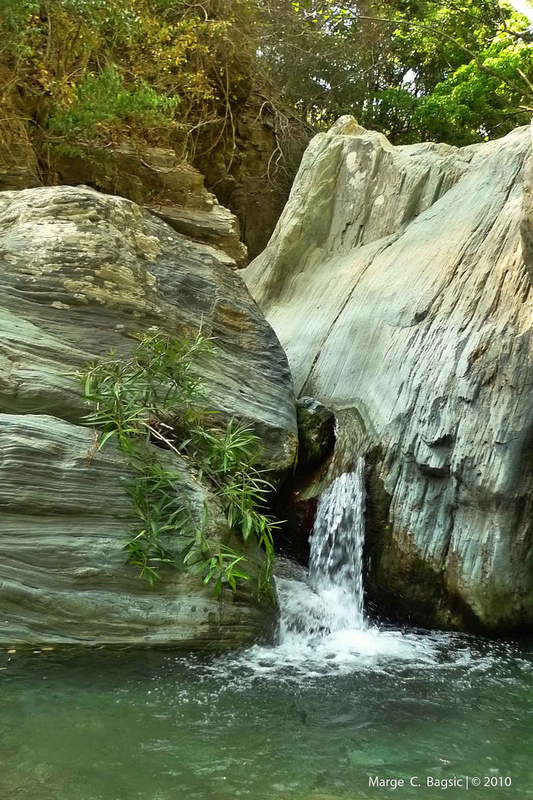 Alipaoy, Paluan Jump in and enjoy the cool, bracing natural pools of the Calawagan Mountain Resort. The Calawagan River has consistently been voted as the Cleanest Inland Body of Water in the Department of Interior and Local Government’s (DILG) Clean and Green Program. Operated by the local government since 1976, the one-and-a-half hectare resort is a popular picnic spot and swimming hole. Visitors are requested to bring their own food as there are no restaurants at the resort. Mamburao Beach Resort, Brgy Fatima, Mamburao Located within a secluded cove, the resort covers 14 hectares of developed beach shaded by coconut trees. The area is ideal for swimming, boating, scuba-diving, snorkeling, windsurfing, deep-sea fishing and water skiing. Inasakan, Ilin Island Marked by lush vegetation encircling the clear blue waters of the South China Sea, the site serves as a jump-off point to other attractions in Ilin, in particular the numerous dive sites surrounding the island. Hulugaan Falls, Brgy. Binacas, Lubang Island Located in the southeast portion of Lubang Island, Hulugaan Falls is a series of falls that cascades down to a stony beach. Besay Falls, Brgy. Tambo, Ambil Island Besay Falls is composed of a series of cascades that flow into a basin of crystal clear water about Five meters in diameter. The scenic road to the waterfalls passes through a rice plantation and a carabao pasture. Tayamaan Beach, Brgy. 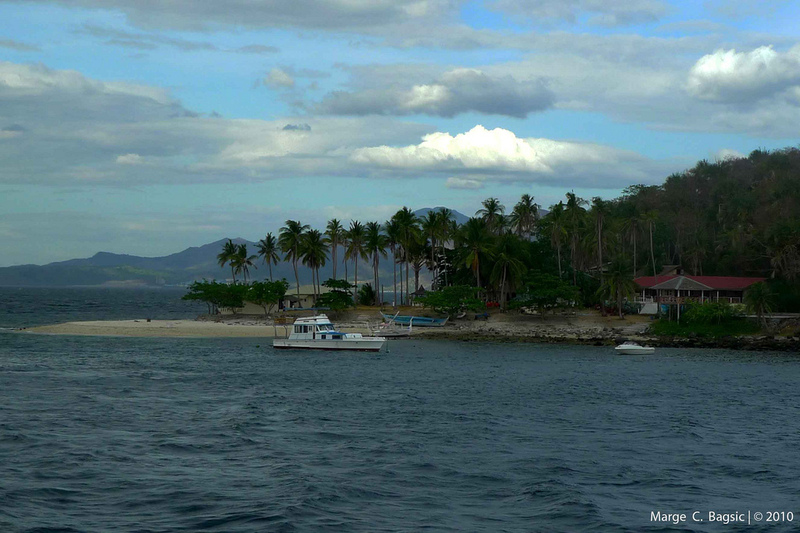 Tayamaan, Mamburao This one-hectare beach is a favorite swimming destination among residents. There are picnic cottages for rent in the area. Resorts and lodges in the major towns of San Jose, Mamburao and Sablayan provide simple and comfortable lodgings to meet the traveler’s basic necessities. Cottages in the many beach resorts are especially designed to blend with the island’s castaway feel. Resorts also provide water sports equipment and motorized boats for rent. Diving equipment and classes by accredited diving instructors are also offered. 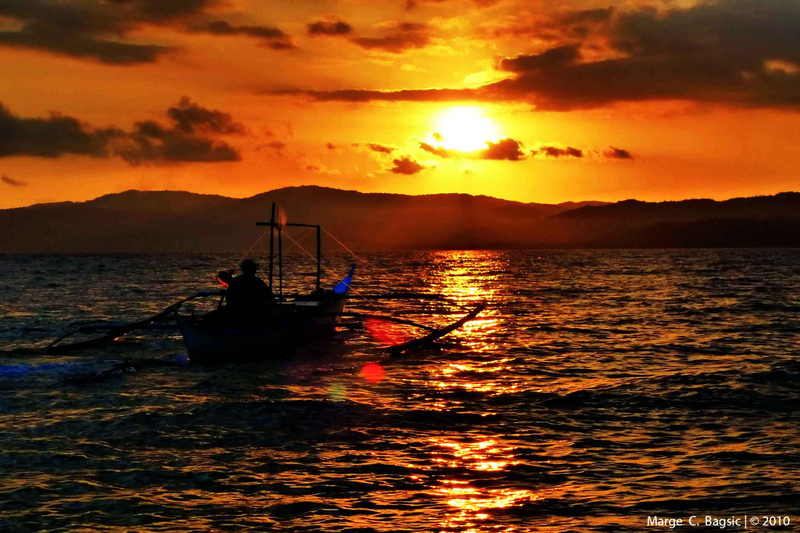 Explore colorful marine life in the numerous dive sites in the province. Go windsurfing and water-skiing in the pristine waterfalls and natural springs of Ambil. Sail out to the open sea for an exciting fishing trip. Relax in solitude on the white sand beaches of Ambulong and White Island. 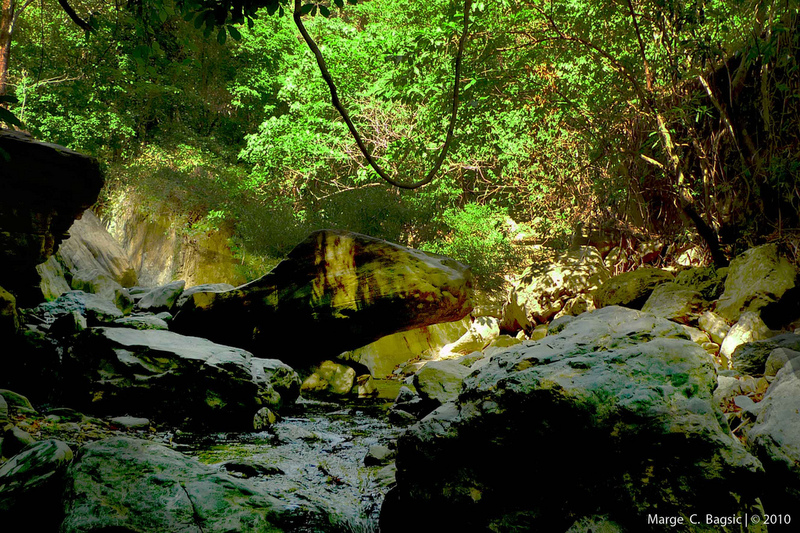 Stretch those muscles and hike through the verdant greenery of Mt. Halcon or visit the Tamaraw reservation area to learn more about this indigenous mammal. Get a healthy dose of history and culture. Visit the ancient burial caves and the fishing villages of San Jose, Ilin and Cabra Island. Hire a boat and go island-hopping or rent a motorbike to zoom along the coast. Mingle with the locals and discover the wonders of a slow-paced life cradled by nature. Visit the local marketplace for Mangyan handicrafts such as baskets, bags and woven accessories. Shop for local fruits like kalamansi and rambutan, or buy sweet native delicacies such as banana and cassava chips. Light casual clothing is advisable during the dry months from November to April. Sturdy but lighweight footwear is advisable for trekking and exploring. The weather gets cooler at night especially in the foothills of Mt. Iglit, so light jackets and windbreakers are a practical addition to any backpack. Cabra Island, southwest of Lubang This island has golden sandy beaches on the southwestern portion and magnificent rock formations along the east coast. Cabra was a former pilgrimage site because of reported apparitions of the Virgin Mary. Today, the island is a popular sports-fishing destination of local and international anglers. Libuao Lake, Sablayan Situated within the Sablayan Prison and Penal Farm, Libuao is considered as one of the finest inland bodies of water in the country. Visitors can enjoy fishing, bird-watching, picnicking and canoeing in the lush park-like areas around the lake. White Island, Manadi, Barrio Ilin, San Jose True to its name, this island has a mile-long beach with divinely white and powdery smooth sand that makes it an ideal site for lounging under the sun. Aside from vacationers who go for the swimming, fishing and scuba diving, the island is also a favorite nestling ground of turtles. Turtle eggs are often found buried in the sand, and visitors are enjoined to leave these undisturbed. Garza Island, Magsaysay A 15-minute boat ride from Sibalat in Magsaysay town on the mainland will take you to this 3-hectare island. With its tree-lined beaches and coral reefs, this unexplored island is ideal for nature trips, camping and snorkeling. How to join on your annual climb?